My preservice elementary course this semester is an embedded field experience. Each week I write or find some lesson for the 3rd graders, and they teach in groups of 2 to 3 or 4 3rd graders, and then reteach in our next class period. 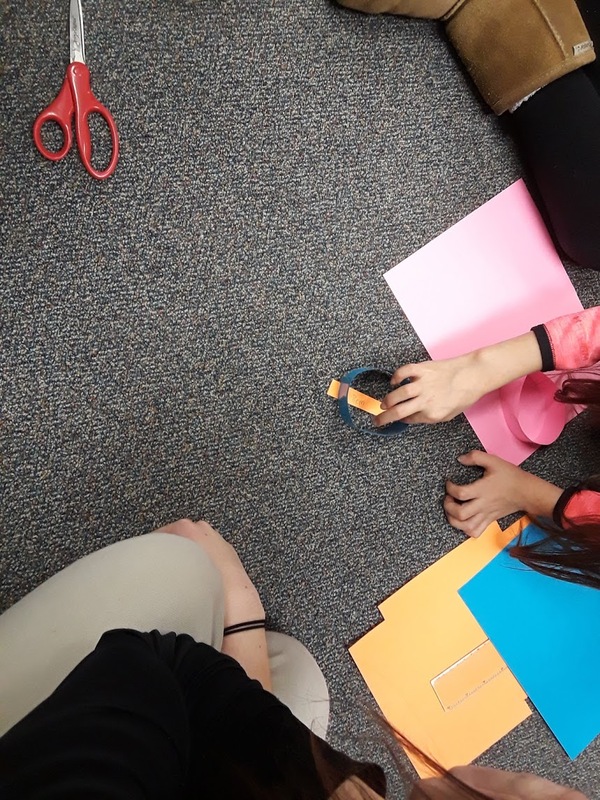 Each class I sit in with a group, and everyone has some time to assess and reflect themselves and the learners while I debrief with that group. Before the first time teaching, at least, we try to rehearse together. As a whole, this is how I want to teach teacher prep from here on out. We're getting to less content, but I see so much more learning. This week I had a lesson planned for Thursday, Pi Day, that had nothing to do with π. 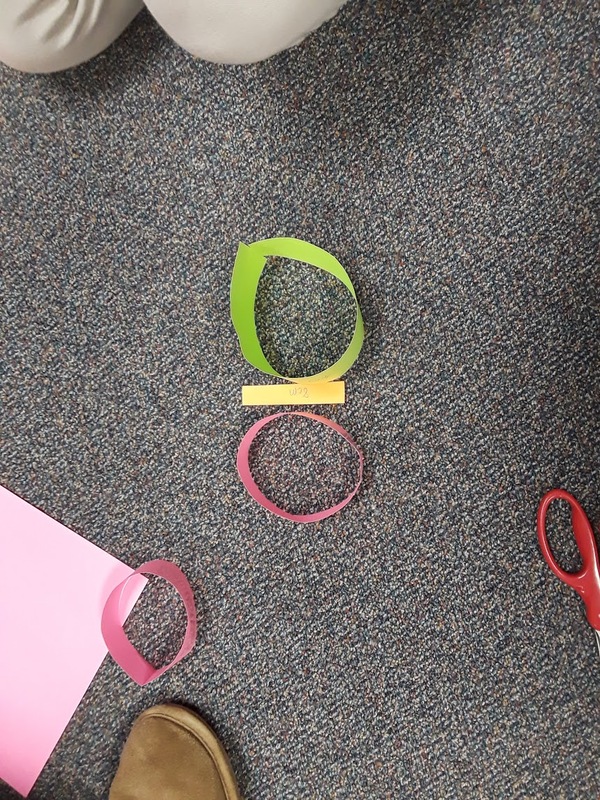 It was on these terrific Naoki Inaba place value puzzles that Jenna Laib shared. 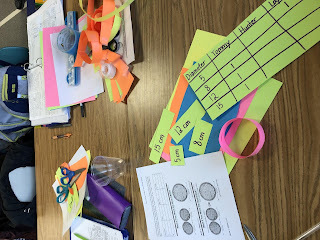 But with Pi Day approaching, and #MTBOS talk of activities and Scrooges, how could I help but think of a lesson? Probably won't do a pi day activity with the 3rd graders, but if I did, I think it would be to make circles as best you can with lengths of string, then measure guess how far across. Maybe better in reverse. 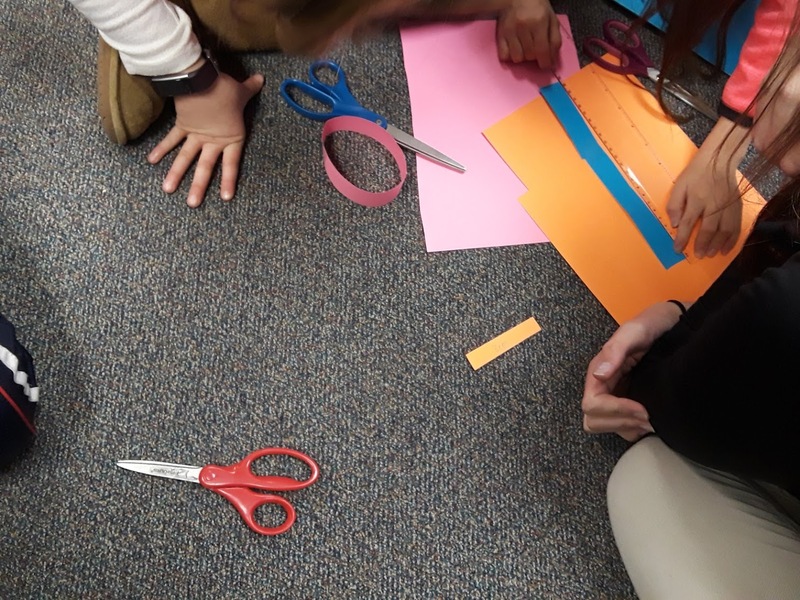 You lay out string for a diameter, students cut a length to be the circle, and the winner is the best circle? Yes, easier to start with the diameter and estimate and cut circumferences. 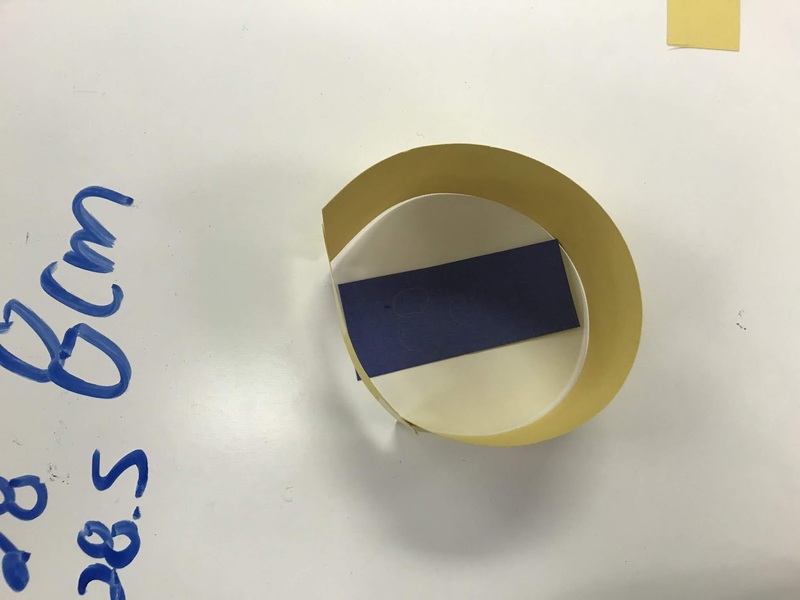 Might be easier with thick paper strips, which have a stiffness and taped together will hold a roughly circular shape? So I felt comfortable offering my PSTs a choice. Pi Day Lesson or the puzzle lesson. If they chose the puzzle lesson, we'd talk about reteaching it or getting back on a Tuesday first schedule. (So they have the weekend to prepare. That was the original idea, but we've had... weather.) To my surprise they overwhelmingly wanted a Pi Day lesson. Oh, crap! For the objective, I definitely wanted learners to come away with the idea that π had to do with circles, to get to do some Visual -> Properties Van Hiele type experiences, and that it's a little surprising how far it is around a circle. Here's the lesson plan. It starts with a quick activity that I think was first inspired by Patrick Honner, who had a lesson on a day like 11/11/11 where he had an equilateral triangle drawing contest. Who can draw the best ____ is a part of my repertoire now. It's just perfect how it goes from the visual to properties as people argue over which is best. Not without resistance. "Because it looks the most like a ____" Hmmm. So what makes a shape look like a _____? Then the competition begins. A strip of paper cut out to be the diameter is placed, and learners try to cut out a circle that - when in it's most perfect circle shape - is the closest to having that diameter. They record the data of what they tried, and indicate which was closest. Then repeat for a longer length and then an even longer length. In the group I was watching, Sophie said at the 3rd one, "I think I want it about 3 times as long. Maybe a little longer." Why? "It's just a guess?" Did she connect with pi? Build from the data? Visual instinct? She wouldn't get more specific. The teachers found that learners were engaged. They liked the making aspect. They definitely enjoyed the competition. A lot of good talk about circles, and a little bit about circumference. So, maybe file this lesson away for next year? 3.1420 is just around the corner.